*Well now isn’t this interesting. Why it’s an anti-Donald Trump rap song that’s gonna be music to a lot of folk’s ears. And you can tell by the song’s title, “F*ck Donald Trump/FDT,” exactly how the artists (and activists?) feel about the Yuuuuuge, GOP presidential front-running a-hole. No, we’re not fans of Donald Trump up in here, either. Oh yeah, we’re feeling the song, by the way. Scroll down and check it out. 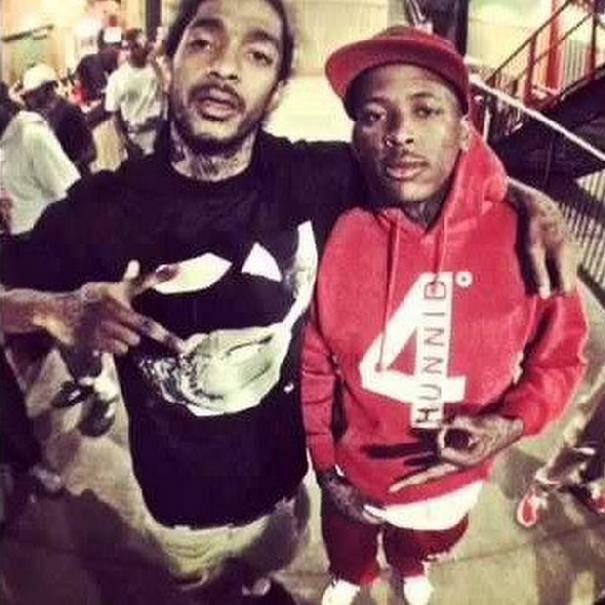 You might be interested to know that the brothers spittin’ the rhymes on “FDT” are Cali natives Nipsey Hussle and YG and by the way, they say they “like white folks,” but not Donald Trump. The song was produced by Dj Swish. According to Impulse Today, this is only one of numerous other anti-Trump songs to come out recently. An anti-Trump music video came out over the weekend which contained violent death threats against the real estate mogul. The video was done by rappers from Baltimore and it went viral across numerous media outlets.